processes your saliva and returns a description that depicts your DNA in colorful strands and detailed reports. I can be a little skeptical, but I was pleasantly encouraged to see two of my relatives quickly listed and connected to me. Yesterday was my reveal night along with my daughter-in-law. We both revealed our results while our husbands recorded the session and discovered a little bit more about us. My ancestry composition reads that my linage primarily comes from Iberia (Spain & Portugal). In the mix, my linage makes a connection with the British, Irish, West African and Italian cultures. I indeed am a colorful expression of life! No matter where we grow up, who raised us or where we are going, there comes a time where this life ends. You are probably wondering why so morbid? I am amazed that through the decades and years of time, today I am alive in 2018. Influenced by family, touched by culture, taught by experiences, traditions and practices; it’s all fashioned me to be me! But, could there be more that the report is not showing? 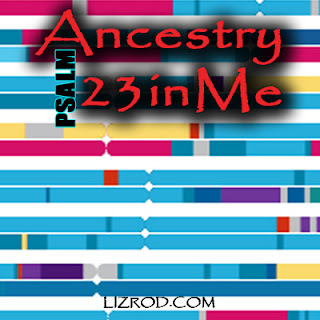 The Lord in his mercy has preserved me and has drawn me to an experience unlike anything that can be documented by looking at my DNA report. When the Spirit of the Lord drew me to himself there was a transformation in my soul that can not be reported by looking at my blood or picking apart my saliva. You can however ask those who knew me before I entrusted my life to my Savior, Jesus Christ. The change was plain. Something has happened to Liz. I knew the change had occurred, but the evidence had credibility by those who testified from the outside. I remember this unquenchable hunger to know God more! It was like a water dam that opened and swept me from the ordinary to the extraordinary. Who is this Jesus? Why do I feel so alive! The simple expression of my need for a Savior opened a new chapter in my life. It’s a whole new book!! IF the DNA test could document the spiritual transformation, the report would read differently. What does your report look like? Today can be the day where it all changes. He loves us. His family continues to emerge. Won’t you let him adopt you today? When I was a little girl my dad made holidays special for my sisters & I. The house was dominated by 3 girls and my mom. In those days Hallmarks was the benchmark. I could always count on my dad to bring something home that would make us feel special. We were not wealthy just rich in love! So, on a day like Valentine’s Day he would remind us that we were loved, bring home a card that expressed that he was glad he was our dad and of course the famous chocolates. My mom’s heart was always distinctive. She was the Queen and we were the Princesses. 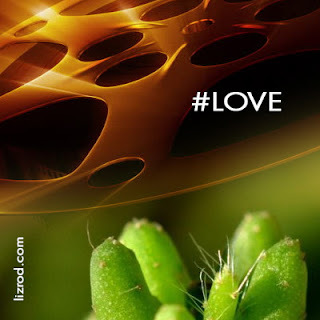 Simple things saying, “I love you”. I’m now in my fifties, married and thankful to God for all the expressions of love in my life. God is Good. During a day like Valentines we often hear, “so did you get chocolates”? If you are in a dating relationship it is almost expected lest you question the authenticity of love. That sounds ridiculous but we have been lured by our commercialized world to believe love can only be expressed by expensive trinkets. Don’t get me wrong, I like expressions of love, but I don’t want to pay for it for the next 3 months with an 18% interest rate. So today was my date night with my husband. I was home sick and feeling tired. When he came home he had purchased some items at the store and put them on the counter. About two hours later I went into the kitchen and on the counter was a succulent cactus plant. It made me smile. I quickly went into the room thanked him for it. He remembered that I like cactus and purchased it for me. He began to tell me that when he went to pay for it the cashier said, “make sure you water it, it looks pretty bad”. Wow, a dead plant? Well, we laughed. About now you are probably envisioning some scrawny, dried up cactus. But, it really was beautiful. I did water it and she is doing well. It’s the little things. So, off to the movies we go. Today is bargain night so admission is only five dollars! As we are watching the previews I leaned over and said, “so what are we doing for Valentine’s Day”? He answered, “we are doing it right now”. To which I answered, “a dead plant and a $5 movie”. We laughed so hard I thought we were going to get shushed. Good thing the lights were out. See it really is not about the cost. It’s about the simple things. Expressions of love can be expressed with a candy bar and a note that reads, “I love you”. Love speaks many languages. Love can be picking up the kids from school so mom (or dad) can take a nap. Love is a walk in the park, a pizza with a friend, or a vanilla shake with your daughter. Love is walking your neighbors dog or removing the snow from their driveway. The ordinary things become extraordinary when they are shared with the ones we love. Love is always trying to express emotions, intentions and convictions. Mornings usually bring peaks of sunshine that slip through the window blinds in my kitchen. The sunlight hits the floor tiles. As I walk toward the coffee maker I can feel the warmth on the bottom of my feet. It’s just a small reminder from my Heavenly Father that he is thinking about me. Open the blinds and a new day begins. He’s made the sun to shine and it brings life all around me. Even my scrawny plant benefits from His expression of Love. What do we do with the sins of yesterday? Sometimes we ignore them and just put them in a trash container. We don’t have to look at them again or pay the consequences for it. Nobody knows, and we somehow think that God has overlooked them as well. When we pile garbage in a bag normally things go well, and we can bring the trash to the curb for pickup. Have you ever overstuffed the “hefty, hefty cinch bag” just to find out that you put one item too many and the results is trash all over the the ground? Your old socks with holes. The un-shredded bills marked "past due". Dirty diapers and so on. If you live in the country, wildlife loves to get into the trash as well. Mornings can be stressful if we must begin the day by picking up yesterday’s dinner from the lawn. Huh! The sins of yesterday try to inflict pain on today. Guilty. We are found in the wrong before God. The handcuffs are brought out and we hear the “click” of no return. 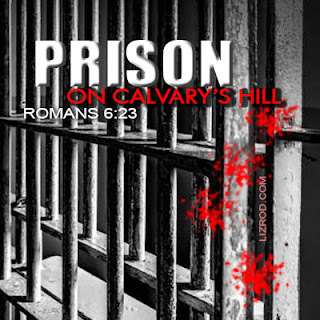 A prisoner of sin, we are now handcuffed and will pay for the sin committed. Truly our garbage will be exposed for all to see. Our wrists in chains, attached to the Police who personally guarantees our destination. But, what if there is a way of escape? What if the Lord himself provides a way out? Jesus knows our weakness. He knows our fallen condition, and he is willing and has paid for the sins of men! He has broken every chain and freed the prisoner. Go and sin no more! 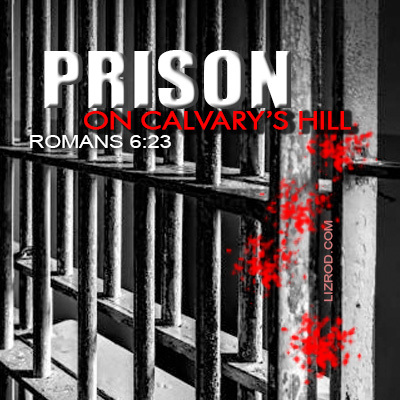 Sin shouted take them to prison. Mercy stepped in picked up the garbage that was on display, removed the chains and paid the cost. The Authority of the Law, the Police himself shouts from Calvary's mountain “take me instead” and surrendered His hands to be crucified on our behalf. He provides a way of escape. Jesus was willing to die for you and me. No need to carry the weight of sin. He has taken it and calls out, "Go and sin no more".